Vegan and gluten-free golden chia pudding. 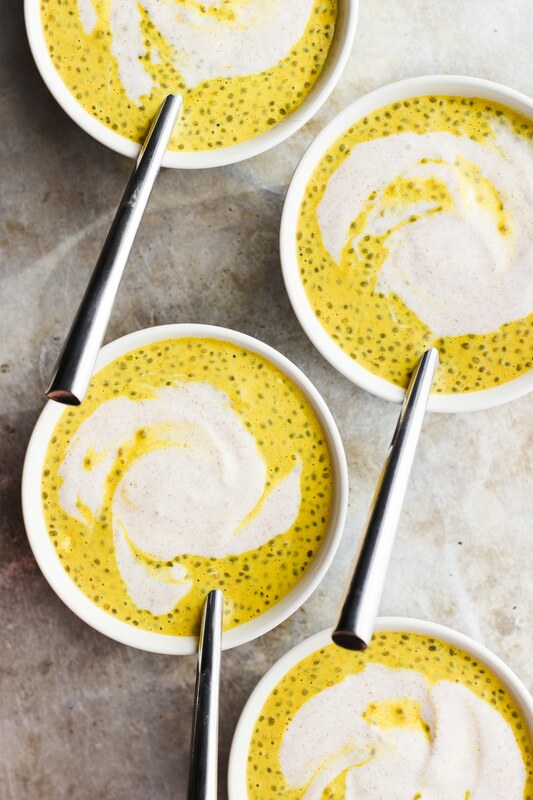 A golden milk chia pudding made from almond milk, turmeric, ginger cinnamon and chia seeds. Vegan, gluten-free golden chia pudding. I met Phoebe in 2015 at the Saveur Blog Awards. She was warm and smart and funny. And she was tall and beautiful. A real down-to-earth badass chick. She was wearing red lipstick and so was I. We’ve been friends in real life ever since. And, I like her a whole lot. 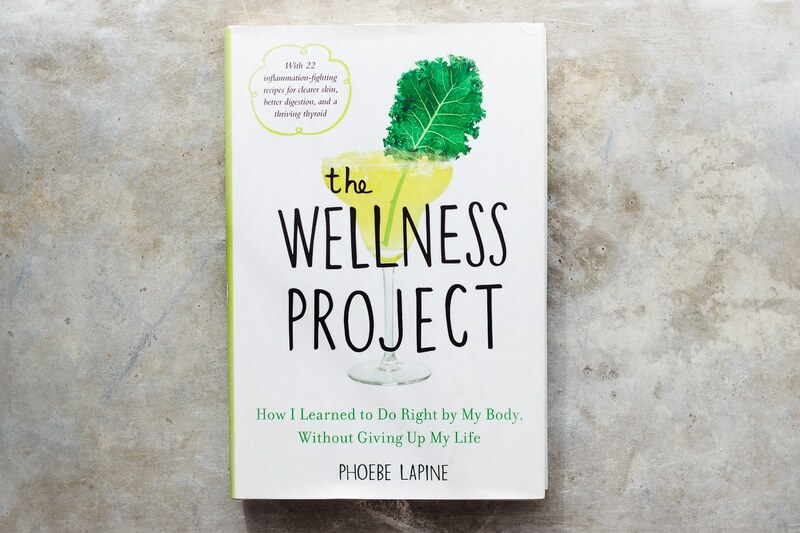 Phoebe’s new book The Wellness Project: How I Learned to Do Right by My Body, Without Giving Up My Life chronicles her year long quest to heal her autoimmune disease and find that elusive balance by making a series of lifestyle changes. One month at a time she adopted an anti-inflammatory diet, overhauled her sleep, fitness, hydration habits and detoxed her pantry. The Wellness Project is filled with practical advice for taking your life into your own hands. Key word here, practical. It’s real and honest and approachable – just the way I like my health and wellness to be. I would recommend this book to anyone searching for more. And that’s just about all of us, right? Phoebe’s book includes twenty-two anti-inflammatory recipes. My favorite of which is the golden chia pudding. It’s full of great for you things like turmeric and cinnamon and ginger. But really my favorite part is the cinnamon yogurt on top. 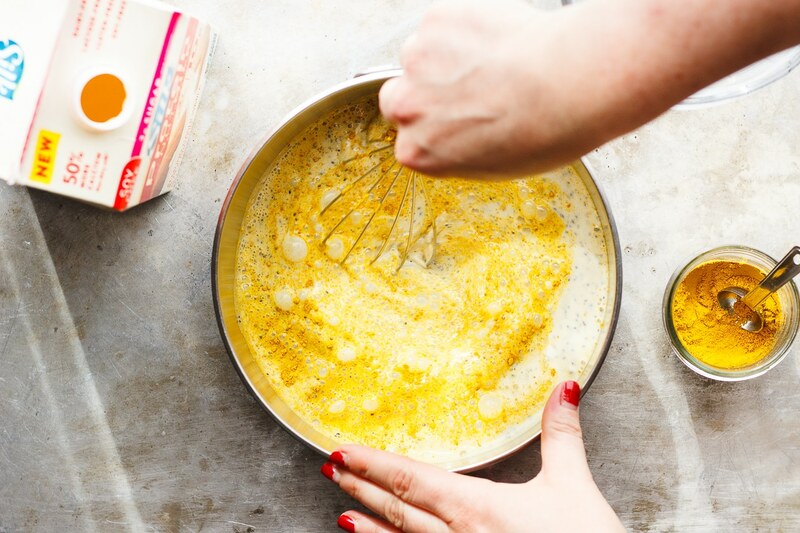 This recipe is not the same without it. Definitely don’t skip this. I’ve included a dairy-free yogurt alternative in the recipe below if dairy-free is your thing. 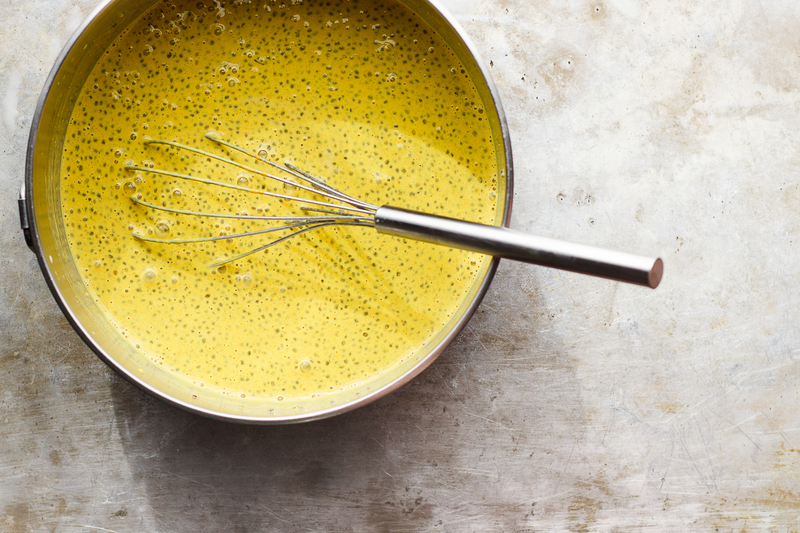 This vegan golden chia pudding is made with Silk’s Protein and Nutmilk. A blend of almonds and cashews without gluten, soy, dairy, casein, artificial colors, flavors or GMOs. I am proud to partner with Silk. So thanks for supporting the brands that make it possible to bring you free, quality content each week. And, a few quick things! I made you fries with fennel salt. My latest for FEAST Magazine! I recently had the honor of appearing on the Chopped Podcast. Have a listen if you’d like! I’ll be the chef onsite for Sarah’s photography workshop this summer. It’s sold-out but stay tuned as I’m hopeful we’ll do more of these in the future. I’d love to know if you’re interested in that! AND – my next pop-up has been announced. We’ll be eating dinner under the stars. Grab your Early Summer tickets now! Recipe adapted from [url href=”http://amzn.to/2pSbd7K” target=”_blank” rel=”nofollow”]The Wellness Project[/url]. 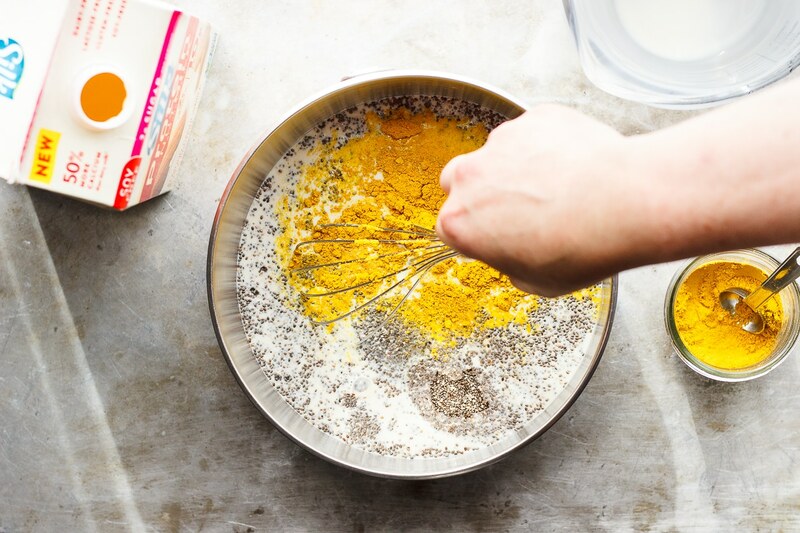 Whisk together the milk, maple syrup, turmeric, cinnamon, ginger, salt and chia seeds until well-combined. Refrigerate overnight or for at least 6 hours. 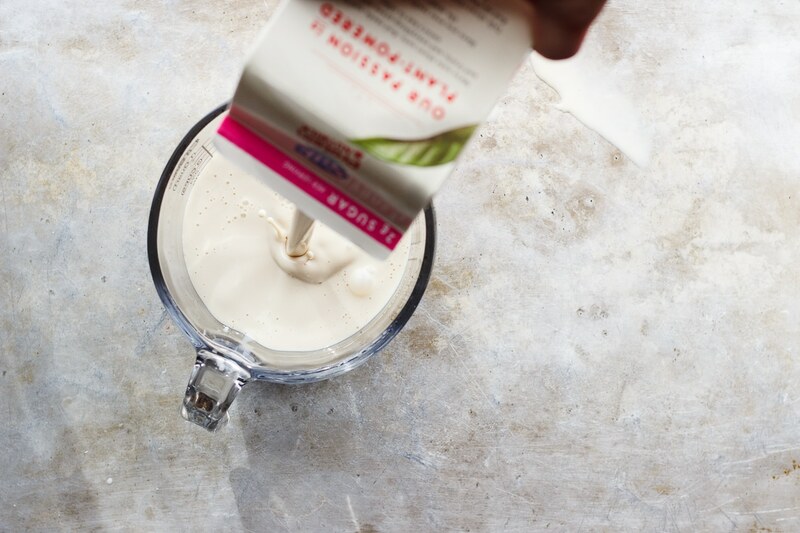 Whisk together the yogurt and cinnamon. Serve the pudding cold with a heaping tablespoon of cinnamon yogurt. This post is sponsored by Silk; all opinions are my own. Thanks to the folks at Pam Krauss Books/Avery for gifting me an advance copy of The Wellness Project: How I Learned to Do Right by My Body, Without Giving Up My Life! This sounds amazing! 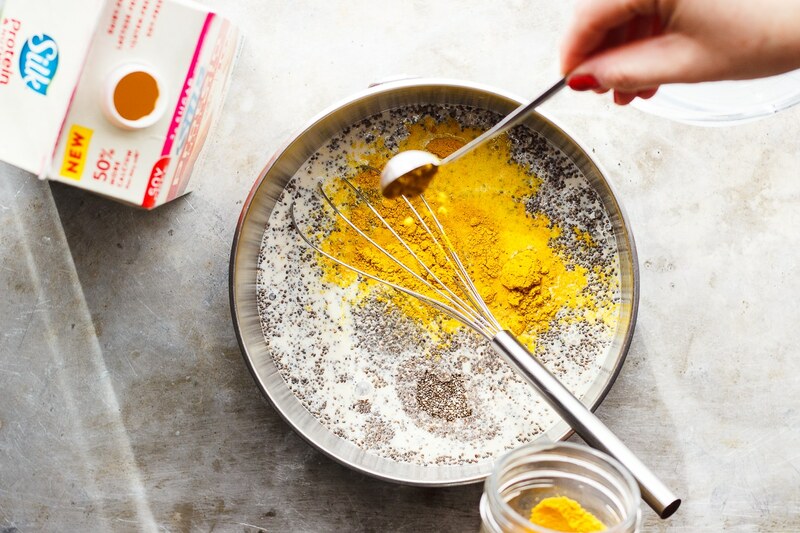 I have been making turmeric lattes but I never thought of adding it to my chia pudding! I will be trying this tomorrow. This looks beautiful. Not usually a fan of chia, but I’m super excited to give this a go. Given it makes four servings, how long can you store this for in the fridge? Thanks! Hi Elise! You can store it in the refrigerator for about 3 – 5 days. These are so gorgeous! 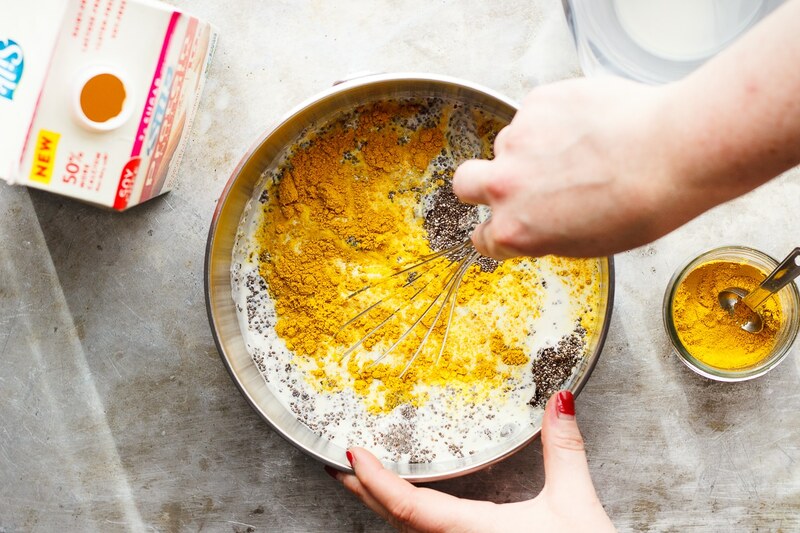 Yogurt + chia seeds together are like heaven, I have yet to try them with a dash of turmeric and cinnamon though! Perfect summer breaky. This sounds delicious! Also, I cannot stop staring at your photos. Just stunning. Such beautiful words. I had just gone through learning about hashimotos and it clicked – that was what Phoebe is going through. My heart just went out to her, and I can’t wait to pick up her book and spend some solid time reading it – not only as a fan of HER but also to read her perspective on the disease, and what she’s doing about it. This pudding looks like a great way to start as the book comes in the mail. Beautiful color- love the idea of a turmeric and ginger flavored pudding!